Don Lemon had a segment about Meek Mill and the justice system’s dealings with African Americans. 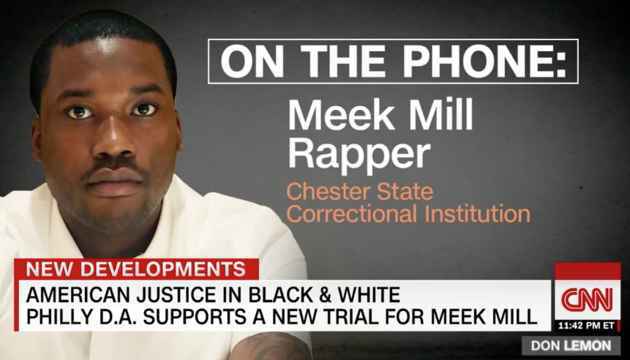 Don Lemon spoke to Meek Mill over the phone from the Chester, PA state penitentiary. Meek Mill discusses the recent news of the Philadelphia D.A. supporting a new trial for him due to serious issues with the credibility of the arresting officer. Also, Meek touches on his current imprisonment for probation violation and the controversies surrounding it.